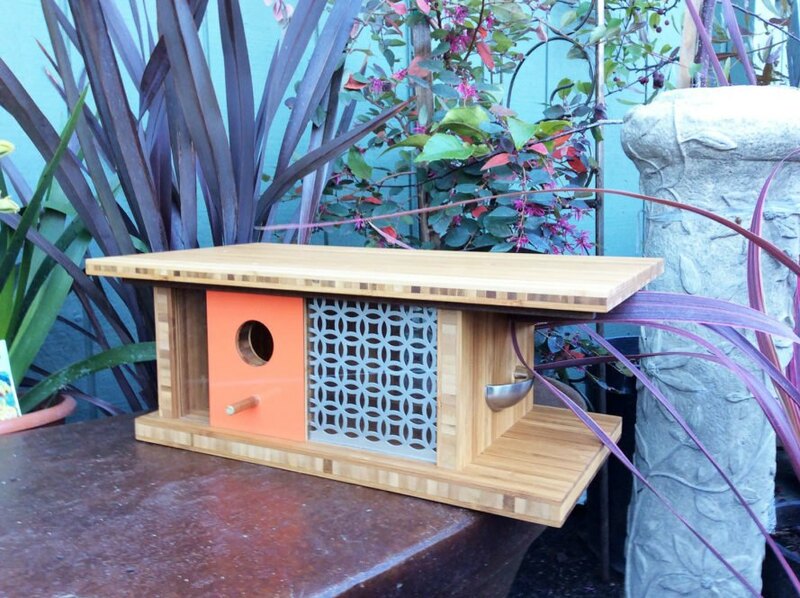 Fans of Frank Lloyd Wright or Eichler will swoon over these California-made birdhouses. Douglas Barnhard, owner of home decor company Sourgrassbuilt, models the enchanting birdhouses after modern architecture. Not only are the birdhouses beautiful, they're made with repurposed materials. Barnhard counts famous architects “mixed with the rich skate and surf culture in Santa Cruz” as inspiration for his artistic creations. He utilizes materials like teak, mahogany, walnut, and bamboo. Some of his handmade birdhouses even include living walls flourishing with succulents to attract birds. His charming birdhouses pay homage to famous buildings, architects, or design approaches like those taught at the Bauhaus School in Germany. 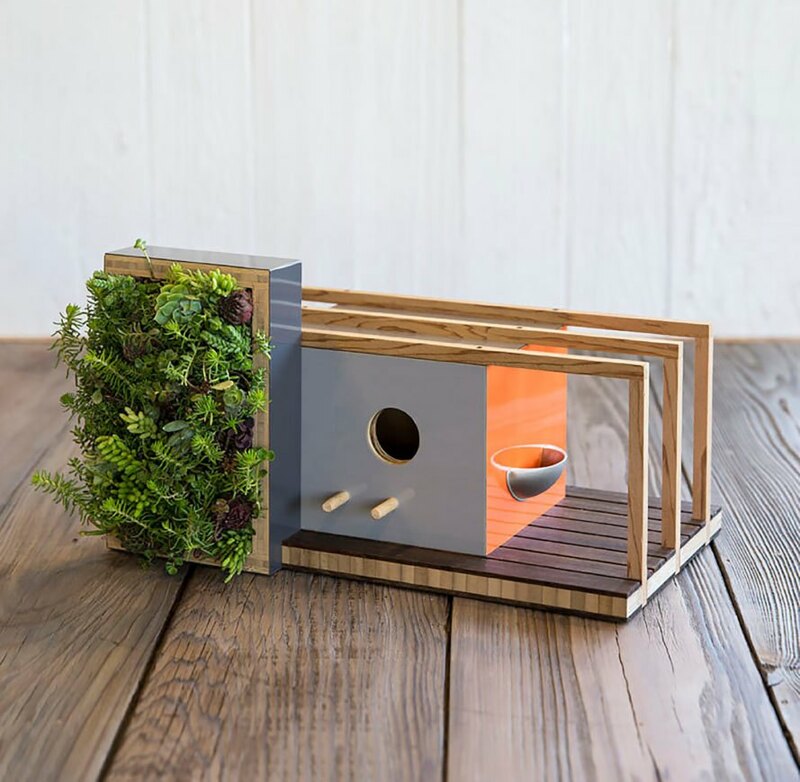 His Living Wall Bauhaus birdhouse made of bamboo plywood is one inspired by the Bauhaus School, which Barnhard said “created mid century modern architecture before its time” in the product description. The dimensions for the birdhouse are nine by nine by six and a half inches. The Living Wall Bauhaus sells for $199.99. Or there’s the Eichleresque Atrium birdhouse made with teak wood and aluminum, influenced by Eichler’s Bay Area housing developments and atrium concept. The $399.99 birdhouse comes with a little planter that can hold succulents or birdseed. Barnhard’s Mixed Media House blends ideas from Eichler, The Bauhaus School, and Frank Lloyd Wright into a modern cedar and bamboo birdhouse. 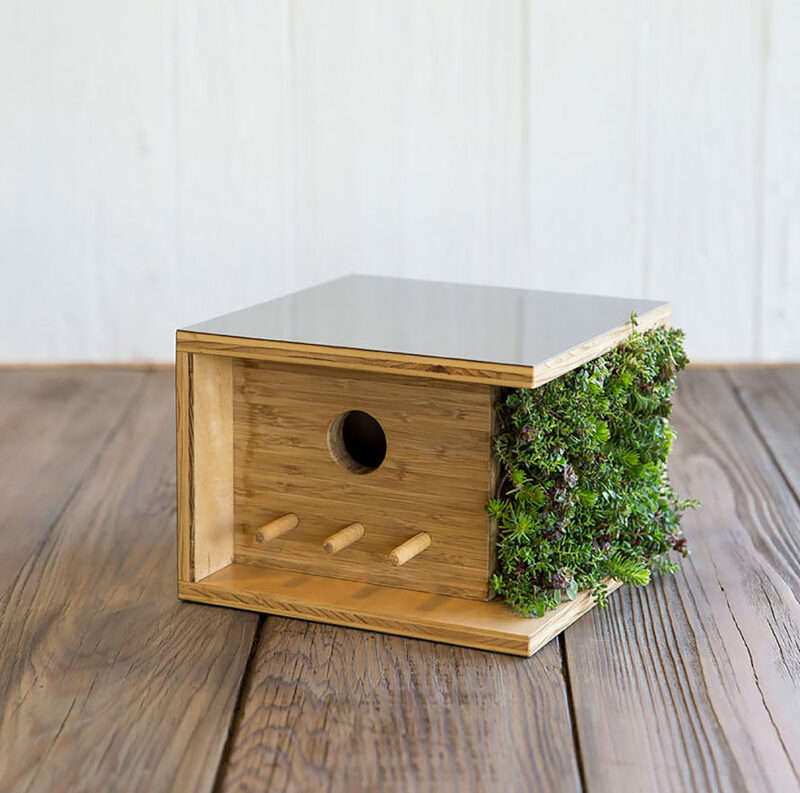 The birdhouse, which retails for $349.99, includes a living wall and small metal container for birdseed. 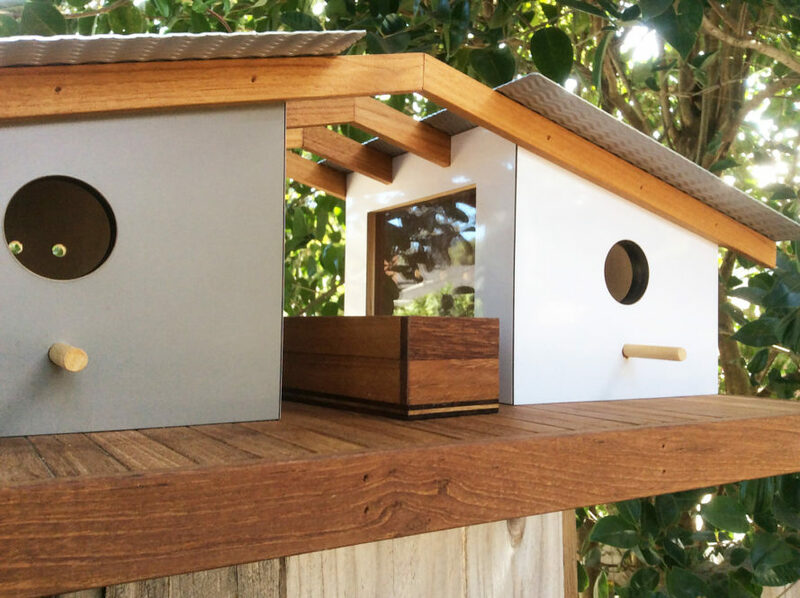 The Kauai House birdhouse draws inspiration from Hawaiian architecture, integrating “the outdoor/indoor living that is so prevalent in warmer climates and embraced by mid century modern design,” according to the product description. 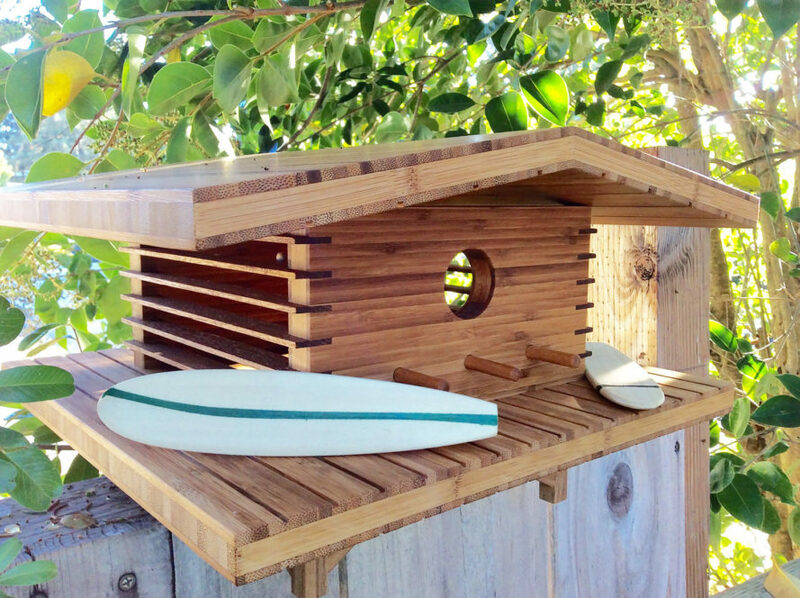 The delightful $329.99 birdhouse comes with two little handmade surfboards. Other birdhouses were inspired by the Japanese Tea Garden in San Francisco’s Golden Gate Park, Eichler homes in San Mateo, and 1960’s Sunnyvale homes. Barnhard sells these lovely designs on his website and on Etsy. Many of the birdhouses include living walls planted with succulents. His Eichleresque Atrium birdhouse is made with teak wood and aluminum. Highlands draws inspiration from Eichler homes in San Mateo. Tea Garden House is inspired by the Japanese Tea Garden in San Francisco's Golden Gate Park. 1960's California homes influenced the design for Sunnyvale. Mixed Media House is inspired by Eichler, The Bauhaus School, and Frank Lloyd Wright.